For a roof that can add a striking element to your home’s curb appeal and help improve your home’s energy efficiency, consider a metal roof. You can also count on this durable, green option to give your home lasting protection against the toughest elements. Let Peak Roofing Contractors, your trusted Virginia roofing expert, talks about its great benefits. A metal roof offers a unique and authentic look to both classic and modern homes. The silvery galvanized color adds a charming and timeless element to any architecture. This is available in several types, including exposed facet, stone-coated steel, and standing seam. All of these are highly durable and practically maintenance-free, enhancing your curb appeal. Among the many options available today, metal roofing in Northern Virginia easily answers any homeowner’s demand for long-term energy savings. The Cool Metal Roofing Coalition and the Oak Ridge National Laboratory revealed that a reflective metal roof can save up to 40you’re your cooling energy costs during summer. This means that you can enjoy a more comfortable indoor temperature without exhausting your air conditioning system. The metal roof’s coating also affects its energy performance. The basic, unpainted ones can reflect the sun’s heat being absorbed in your home better than asphalt. On the other hand, the pre-painted systems re-emit solar heat to cool your home. For your Northern Virginia roofing, make sure to choose a material that offers a lifetime service. Metal panes are extremely durable and require low-upkeep. They can withstand severe weather events and heavy airborne impact from hail and debris. Our experts will also ensure the proper design of the entire system using innovative attachment methods to prevent wind uplift and thermal movement. 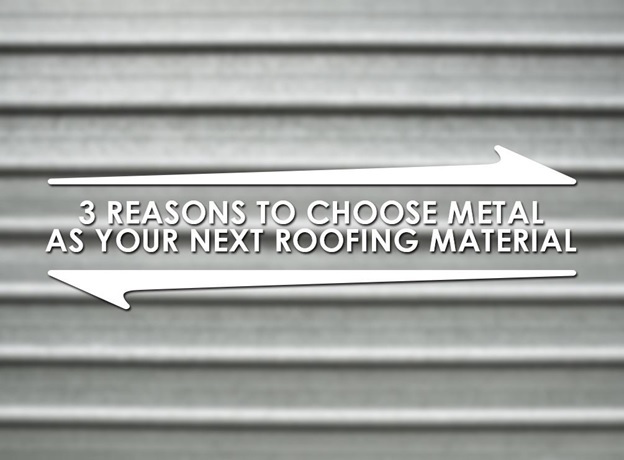 Switch to a metal system on your upcoming roof replacement project. It can significantly cut down your energy bills and protect your home from harsh weather conditions. Aesthetically, a metal roof’s design is so versatile that it can match the architecture of any home. Call us today at (703) 745-5153 to request a free estimate or to schedule a consultation.